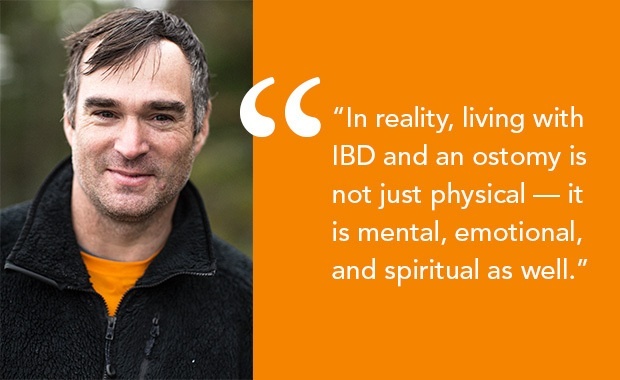 Climbing Mountains With An Ostomy and Crohns Disease, Rob Hill the founder of Intestinal Disease Education and Awareness Society shares his inspirational story of climbing the world’s tallest mountain to raise awareness for Crohn’s disease and ostomy. Robert Hill was diagnosed with an aggressive form of Crohn’s disease as a young man, resulting in the removal of his large intestine and permanent use of an ostomy bag. Instead of feeling sorry for himself he set out on a mission to rebuild himself mentally and physically and inspire awareness by climbing the Seven Summits of the world. Robert Hill first noticed something was wrong when he started having abdominal pain, diarrhea and felt nauseous. At the time he didn’t even have a GP, being a healthy young man, didn’t ever have the occasion to need one. Rob was given the option of ostomy or death. Rob choose life with an ostomy. and, man what a life!